This is a cute 1500 sf home in the pines....very nice layout in here with a spacious kitchen and dining nook, separate laundry area and open living room. Floorplan is split, 2 guest br on one end with Master on the other, beautiful fireplace in the living room and a great location with convenient access to town, WITH a garage! There is some deferred maintenance which does not appear to be major; bring your skills and dress this cutie up for a rental or personal residence! 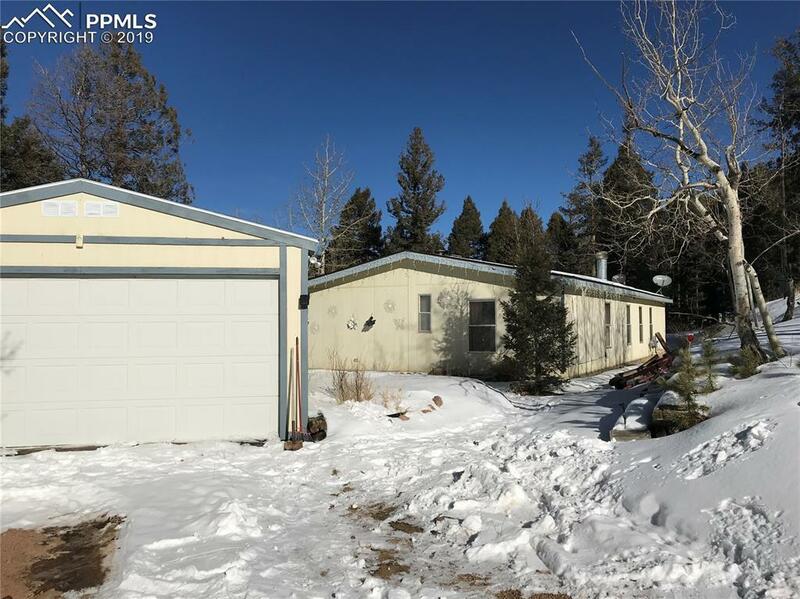 Super great subdivision amenities; county maintained roads, tons of greenbelt, scenic views around every corner, lots of tall pines, aspens, mule deer and wildlife. Heated year round swimming pool, workout room & equipment, playground, trash service is avail, close to town and ez commute to Woodland Park or Colorado Springs. This could be a beautiful home with a little bit of love!